Located in Brecksville, between the cities of Cleveland and Akron, little known Cuyahoga Valley National Park surrounds the 100-mile-long Cuyahoga River, named by American Indians for its “crooked” shape. It famously caught on fire in 1969 for just 24 minutes because of pollution. Long cleaned and restored, the river now provides a cool place to fish, kayak and relax without the crowds that many parks attract. The Ohio and Erie Canal also runs through the 33,000-acre park, which can be visited in four seasons. Built it in the 1820s, it provided a water route for boats from the Ohio River to Lake Erie but is now used recreationally and managed by the National Park Service. The fascinating Canal Exploration Center is the place to learn all about it. Perhaps the most unique feature of the park is the opportunity to ride the Cuyahoga Valley Scenic Railroad. In operation since 1880, the railway was originally used for transporting coal. Now riders can ride the length of the canal (about 3 hours) or board and disembark at multiple locations along the trail with a daypass. Interesting stops include Indigo Lake and historic Everett Village, ca. 1820, site of the only remaining covered bridge in the county. For an additional fee, bicyclists can hop on board too. During the year, the train hosts various special events such as an ‘Edgar Allen Poe Express’ with a Poe impersonator (move over Elvis) or a “Polar Express”-themed ride. 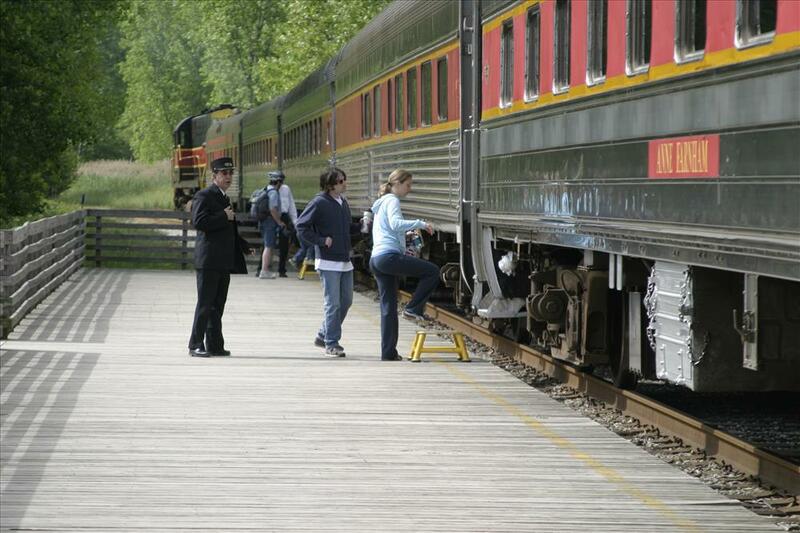 The railway is the perfect cure for hikers’ tired feet, and audio tours that detail the culture and history of the park are also available. The twists and turns of the Cuyahoga River offer more than a funky geometrical shape to gawk at. Hundreds of trails wind up and down the diverse park landscape, ranging from leisurely paths to challenging climbs. Towpath Trail is the major trail in the park, named for the mules and horses that walked alongside the canal pulling boats. Along this path, remnants of old locks and other canal structures can be found. From Towpath, connect to the extensive network of various smaller tracks. A trip to the park would not be complete without some interaction with nature. For scenic and serene waterfalls, stop by Brandywine and Buttermilk Falls. For the best wildlife viewing, Beaver Marsh, which was once an automobile junkyard, is now home to herons, turtles, falcons, amphibians, and of course, beavers. Children can also participate in Junior Ranger programs which are available at the park’s visitor centers. Another activity called “EarthCaching,” an offshoot of geocaching, is offered at specific sites throughout the trail, and is a fun and unique way to explore the park’s interesting geological features. Both children and adults can also participate in guided hikes with park rangers, catch a glimpse of rare birds or learn about the haunted locations of the park. Hike topics vary by season but are available year round. If your visit happens to fall in September, you might be lucky enough to witness the migration of thousands of monarch butterflies, passing through Cuyahoga on their way to Mexico. Other than winter, families can visit Cuyahoga National Park at any time of year. There is a variety of accommodation for every type of traveler. Directly in the park are backcountry campgrounds accessible to bicyclists and backpackers available by reservation only. In addition, there are several state and private campgrounds close to the park which you can peruse in this campgrounds directory. Families looking for a little extra comfort can stay in the Inn at Brandywine Falls, a restored, six-room bed and breakfast located right in the park overlooking the Brandywine Waterfalls. Another option in the park is to rent a room (or more) at the Stanford House, a nine-bedroom remodeled home equipped with a self-service kitchen and two community restrooms, perfect for larger families or reunions. Outside of the park there are numerous lodging options such as the Marriott in Warrensville Heights or several motels. Whatever your lodging preferences, you will be sure to find something to fit your taste and budget. 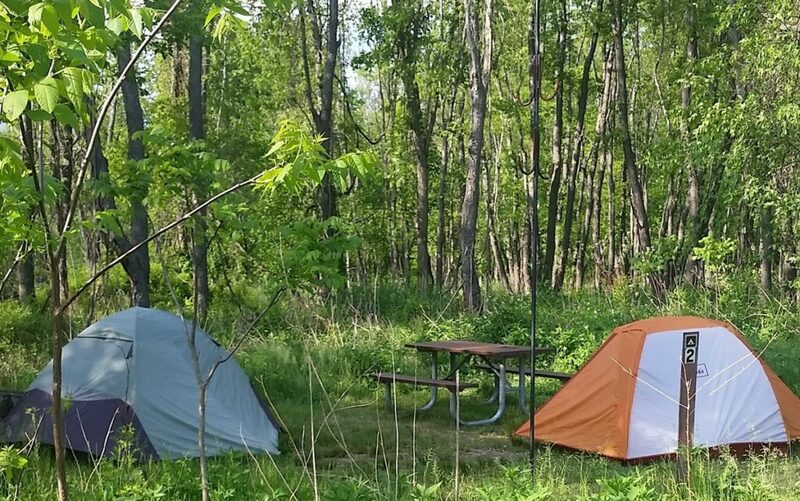 Cuyahoga National Park offers the perfect escape from the relatively flat Midwestern landscape. With a rich history and various opportunities to get in touch with nature, Cuyahoga is an Ohio must-see adn the only Midwest national park. To learn even more about the park and its current programs, visit the Cuyhago National Park Service website. You always share to the world with something new and different destinations. Thank you so much for sharing. The history of Cuhahoga valley national park seems interesting and must be a new experience when we observe scenes of National park from their scenic campgrounds. which season do you think is the best time to visit this national park? Hey Maggie, I really appreciate your innovative traveling ideas. You have covered so many adventurous places. Waiting for some new destinations. Please keep posting. John, glad you liked the story. This park is in Ohio where the weather can be unpredictable! It’s warmest between late April and November, but even April has the risk of some snow. If you’re camping with kids, the safest bet is June to August, because it’s warmer and there’s little rain. Enjoy your trip. happy you enjoyed the story. This park is in Ohio where the climate can be capricious! It’s hottest between late April and November, however even April has the danger of some snow. In case you’re enjoying the great outdoors with children, the most secure wager is June to August, since it’s hotter and there’s little downpour. Make the most of your trek. Thanks for all the info. We are planning on going in August, and are trying to find a nature-centered vacation for our family of 4, kids ages 7 and 4. We are from Southern Ontario, Canada and we came across this national park. Would you recommend this place for 3-4 days? Is there enough to do (hiking, train rides, exploring etc)? Somewhere else? We also looked at the Smoky Mountains but its about a 11-12 hours vs the 5-6 hours to Cuyohoga. Any advice would be helpful. Hello Lansdell family! This is a great place for a long weekend of outdoors exploration and a beautiful park. In late May, a new business is opening = https://www.floattheriver.net/ = which will run float trips on inner tubes on portions of the river. I asked some locals and they suggested that after biking and hiking and riding the train, your kids might enjoy day trips to nearby Canton, Akron or Cleveland. Each has lots of Metroparks (the public system of urban parks) and museums, etc to do and see. With some planning, all your days can be as full of variety as you would like. We hope you have a wonderful trip.